The NBA’s first unanimous MVP winner in history, Steph Curry can add another title to his list of many after his showing in the first round of the 2018 Ellie Mae Classic. That title is Most Improved. 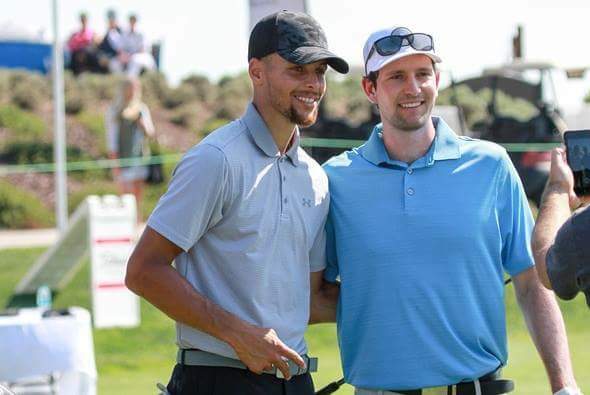 Curry shot an impressive 71 in the first round this year, after a 74 – 74 showing on Thursday and Friday at TPC Stonebrae last year. “Awesome day,” is how Curry summed up his play after finishing the round. “Obviously I came in with high expectations based on how I played last year. We just wanted to play better. I started off the round and I got a little rattled on the back nine (he started on the back nine). Then going into the front nine on No. 2, a couple three putts and I was able to right the ship from there. The lead in the tournament, after the first round, is shared by three players. Adam Long, Seth Reaves and Samuel Del Val all scored 63 to finish 7-under par. Tomorrow, Curry will again be paired with Web.com Tour winners Martin Trainer and Cameron Champ. They will begin play at 2:52 p.m. PT. For Bethune Cookman University, it was yet another impressive example of a dynasty in cruise control at the 32nd PGA Minority Collegiate Championship at PGA Golf Club. The Wildcats captured a record seventh-straight—and 15th overall—Women’s crown in collegiate golf’s most culturally significant Championship. Meanwhile, the Men’s team notched their third-consecutive PGA Minority Collegiate Championship and 10th title overall. The teams from Daytona Beach rocketed right out of the gate and never let off the throttle throughout the 54 holes of competition. Paced by medalist Mackenzie Butzer who had a final round 1-under par 71 (70-75-71 216), the Bethune Cookman Women (297-307-299 903) defeated runner-up University of the Incarnate Word by 27 strokes on the Ryder Course. North Carolina A&T finished third, another seven strokes back. “This is overwhelming,” said Butzer. “This is my last year, and I gave it all I had. I had fun and played easy. Everything seemed to be clicking.” MORE: Final results from the 2018 PGA Minority Collegiate Championship Meanwhile, the Bethune Cookman men (286-282-286 854) shot 10-under par for the Championship, winning by an amazing 57 strokes over Savannah State on the Wanamaker Course. The University of Incarnate Word placed third. For Bethune Cookman, it was a three-day showcase of utmost command. After closing out the Championship on No. 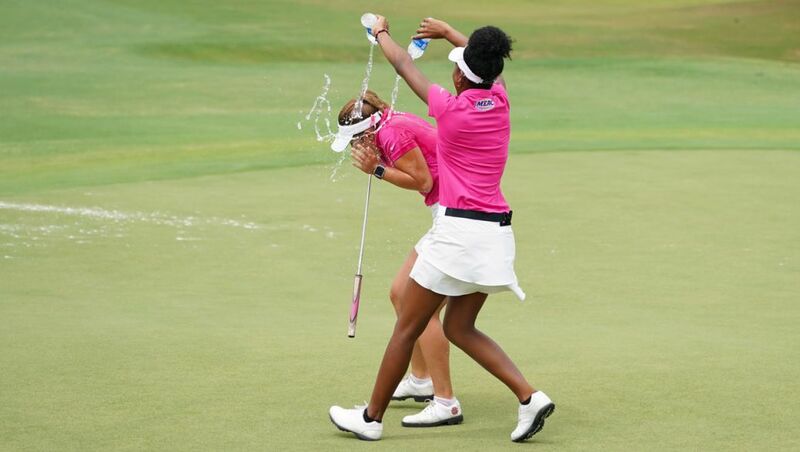 18, the women’s team sprayed the men’s team with a water bottle shower that would have rivaled a dramatic victory celebration. “It was so fun to see our student athletes end the season like this,” said Bethune Cookman Head Coach Danny Forshey. The Bethune Cookman Men were led by medalist Marcus Sundlof, of Sweden (65-70-71 206), who bested his teammate Christian Hovstadius for the honor by seven strokes. “It feels great,” said Sundlof, a sophomore who overcame a wrist injury at the beginning of the year. “We had a lot of team wins, but I wasn’t playing well personally. It’s great to finish off the year this way.” A history of excellence in the Championship was the overall theme for each team division winner. Division II was won by California State University-Dominguez Hills for the third time in the past four years, as the Toros recorded a 15-shot victory over Lincoln University. Virginia Union’s Sergio Escalante took Division II Medalist honors with a 54-hole Championship total of 220. “This tournament is always challenging,” said Toros Head Coach Ron Eastman. “The rankings don’t matter, because everyone plays from the heart.” Despite starting its golf program eight years ago, the University of Houston-Victoria won its third-straight NAIA title—and a Division record fourth overall—by defeating runner-up Governors State by 12 strokes. The two teams started the day four strokes apart, before Houston-Victoria pulled away. Governors State’s Matt Contey was NAIA medalist with a three-day total of 222. MORE: Photos from the 2018 PGA Minority Collegiate Championship “It was tough competition,” said Houston-Victoria Head Coach Christi Cano. “We had to grind it out for our victory today.” For the second straight year, the Men’s Individual title was won by the University of Connecticut’s Nabeel Kahn, who overcame a rusty start to the Championship for a 2-under par final round 70 (75-70-70 215) to win by 12 strokes over both Palm Beach Atlantic’s Siyan Liu and West Florida’s Joseph Stills. “Any win is a good feeling,” said Khan. “I started rough on the first day. It wasn’t like an outright win. It was grit.” The Women’s Individual prize was earned by St. John’s (N.Y.) University sophomore Linda Wang (72-73-73 218), who defeated runner-up Rachelle Orme of Savannah State by nine strokes. In a weather-related quirk designed to get ahead of the heavy rains forecasted to arrive from Mother Nature on Mother’s Day, the final round actually began on Saturday, as the teams played 27 holes overall, including the first nine holes of the Championship’s final stanza. The final nine holes were completed on Sunday morning in slightly rainy and muggy conditions. The PGA Minority Collegiate Championship is the most culturally significant championship in collegiate golf. In 2006, the PGA of America was granted complete ownership and management by the National Minority Collegiate Golf Scholarship Fund. What is the Brand New Q-Series Coming in 2018? One of the biggest changes coming to the LPGA in 2018 is the revamping of the LPGA Qualifying Tournament, the process whereby players from the United States and all over the world compete to earn membership onto the LPGA. This year, a record 361 players started Stage I in California. It’s currently a three-step process where non-members generally start at Stage I in California. This year, exactly 90 players advanced from Stage I to Stage II, which takes place in Venice, Florida. The top 80 and ties advance from Stage II to Final Stage, where the top 20 earn what is considered “full” LPGA membership while finishers 21 through 45 earn “partial” or “conditional” LPGA membership. Stage I and Stage II of LPGA Qualifying Tournament are not going anywhere. Recent college graduates, those testing the waters early and the influx of players around the world hoping to reach the LPGA will still have to grind through the five-round gauntlet that is Stage I, which some consider the hardest because of the pressure and the 115–degree summer temps in the dessert. Instead of Stage II feeding into Final Stage, it will feed into the Symetra Tour, for the most part. There will be some exceptions where top finishers at Stage II will qualify for the Q-Series. 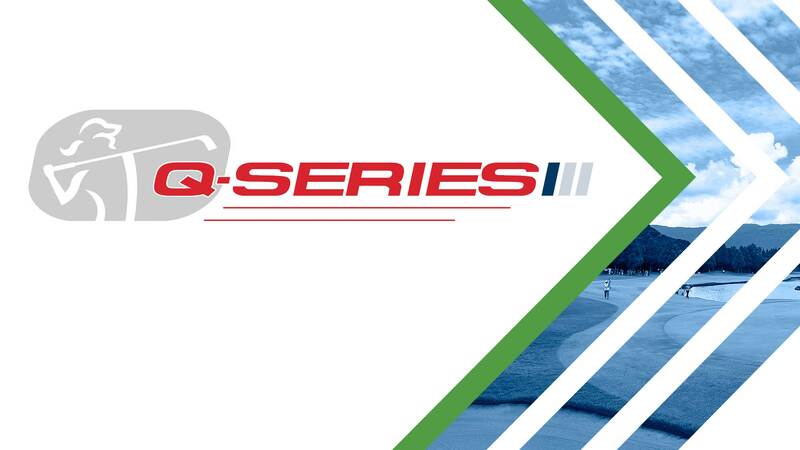 Final Stage in Daytona Beach will be replaced by this new concept called the Q-Series, which will take place in October. It will be two, four-day tournaments on two separate golf courses in the same market and scores will be cumulative over the eight rounds of competition. Who Qualifies for the Q-Series? The major goal of the Q-Series is to identify the most LPGA-ready talent. In the past, Final Stage was at one golf club, played over five rounds. Someone could have a bad week or catch the flu or experience the yips on the greens. It’s a roll of the dice. One tournament over five rounds doesn’t adequately provide the best glimpse at who should be on the LPGA. That’s where Q-Series helps to find the top performers. Players that finish No. 101 to 150 on the LPGA money list during the current season will qualify along with those that finish No. 11 through 30 on the Symetra Tour money list. Players in the top 75 in the Rolex Women’s World Golf Rankings will also qualify for Q-Series. Additionally, the top five players according to Golfweek’s Collegiate Rankings will also skip Stages I and II and right into the Q-Series. Finally, the top finishers from Stage II will round out the field. The field will be 108 players and there will be approximately 45 spots up for grabs for the 2019 season. DAYTONA BEACH, Fla., – The Ladies Professional Golf Association (LPGA) and Kingsmill Resort announced recently a contract extension for the Kingsmill Championship Kingsmill Resort, which has held the Kingsmill Championship tournament annually since 2003, will renew its title sponsorship for an additional three years (2018-2020). 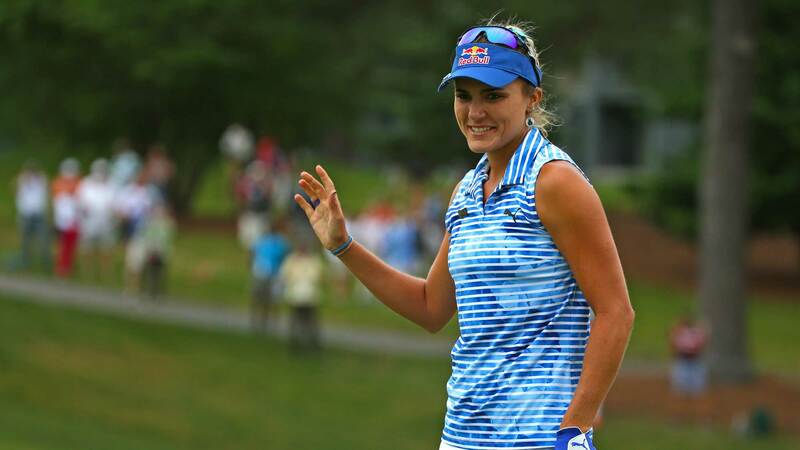 “We are thrilled Kingsmill Resort has extended our long-term partnership as it ensures that we will continue the rich tradition of showcasing the best golfers in the world, at one of the very best resorts in the world,” said LPGA Commissioner Michael Whan. The contract extension allows the LPGA to continue to add to the list of past Kingsmill Championship winners, which includes the likes of LPGA and World Golf Hall of Famers Annika Sorenstam, Se Ri Pak and Karrie Webb. 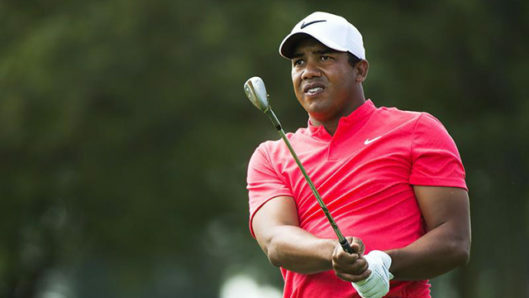 OAKVILLE, Ontario — Jhonattan Vegas successfully defended his RBC Canadian Open title Sunday at Glen Abbey, beating Charley Hoffman with a birdie on the first hole of a playoff. Vegas’ approach from the left bunker in the playoff on the par-5 18th hit the grass just above the sand lip and went through the green. The 32-year-old Venezuelan chipped to a foot — after racing a chip past the hole in regulation from the same area en route to a par — and won when Hoffman’s birdie try from the back bunker slid past the hole. Vegas closed with a 7-under 65 to match Hoffman at 21-under 267. Hoffman, the third-round leader, birdied the 18th for a 68. Vegas has three PGA Tour titles, also winning the 2011 Bob Hope Classic. CROMWELL, Conn. — Jordan Spieth needed an extra hole, a little bit of luck and an amazing final shot to finish off a wire-to-wire victory in the Travelers Championship. The two-time major champion holed out from 60 feet for birdie from a greenside bunker on the first hole of a playoff with Daniel Berger on Sunday at TPC River Highlands. The 23-year-old Texan joined Tiger Woods as the only PGA Tour players with 10 victories in the era since World War II. Woods won 15 times before he turned 24. “That was one for the ages,” said Spieth, also the winner at Pebble Beach in February. Spieth held a one-stroke edge after each of the first three rounds. He closed with an even-par 70 to match Berger — who birdied three of the final six holes for a 67 — at 12-under 268. Berger, the Memphis winner two weeks ago before missing the cut last week at the U.S. Open, just missed a 50-foot putt from off the 18th green left that would have forced a second playoff hole. Berger began the round in third place, three shots back. He tied Spieth for a lead with a 5-foot birdie putt on 15 as Spieth was making bogey on 14 and tied him again with a birdie from 8 feet at 17. The pair, playing a group apart, both hit their approach shots on 18 into the same greenside bunker. Both chipped out close to the hole and both saved par to force the playoff. Berger hit his drive on the first playoff hole left and into the crowd behind a fairway bunker. Spieth seemed to clip a tree left landing in the fairway but about 150 yards short of his normal drive and 230 yards from the hole. Spieth’s approach fell into bunker. Berger’s ran off the green to the left. Spieth had to back up after hitting his bunker shot to see the hole. When the ball rolled straight in the cup he threw his club and did a flying chest bump into caddie Michael Greller. “If I was in Berger’s shoes, I be cursing Jordan Spieth right now for the break off the tee and then holing a 30-yard bunker shot, that’s a lot of luck,” Spieth said. Spieth didn’t waste any time extending his lead to three strokes Sunday. He hit his approach shot to 6 feet on the first hole and made the birdie putt, then made a 5-footer at No. 2. But those would be his final two birdies until a 16-footer on the 15th hole. He also survived a couple of big scares. The first came when his drive on 13 went right but stuck on the side of a hill to stay out of the water. He missed a 7-foot birdie putt, but saved par. He then hit his tee shot on the 15th left, just avoiding the water and the hazard line in the rough. He chipped to the middle of the green and made a 16-foot putt for birdie, which he thought he had missed. .
His second shot at 17 also looked as if it might hit the course’s signature lake, but landed just on the edge of the green and he made par. He’s the third player to go wire-to-wire alone in the lead at the Connecticut event. Gene Littler did it in 1959 and Tim Morris in 1982. Spieth’s only other wire-to-wire win was the 2015 Masters. Sunday’s win was also his first win in a tournament debut. The last player to win in Cromwell in his first start was Phil Blackmar in 1985. Charley Hoffman (66) and Danny Lee (67) tied for third, three strokes back. Boo Weekley, who began the round a shot back in second place, shot 37 on the back nine to tie for fifth at 9 under, despite the support of a large gallery, which could be heard cheering “Boooo!” and “Boo-S-A!” every time he did something good. Rory McIlroy tried to find his short game this week and used his third putter Sunday to help him shoot a 64, his lowest round on the tour this season. He tied for 17th at 6 under. Defending champion Russell Knox had a poor round, with six bogeys on his first 10 holes. He shot a 73 to finish at even par. Grayson Murray had the tournament’s only hole-in-one, acing the 177 yard eighth hole with an 8-iron. It also was the first on tour for the 23-year-old North Carolinian. He shot a 68 to finish at 5 under. As if Jordan Spieth’s winning hole out at the Travelers Championship wasn’t already impressive enough, the crazy news keeps on coming in the world of golf. Justin Thomas, who recently posted the lowest single-round score in the history of the U.S. Open, is longtime friends with Spieth – he knows him better than most. So much so, apparently, that he called Spieth’s bunker hole out on Twitter moments before it happened – and was right. The shot was legendary. The celebration that followed was epic. But Thomas calling his friend’s shot adds yet another layer to a memorable Sunday in June. Golfers can compete for a chance to win great prizes from major brands from any golf course worldwide. 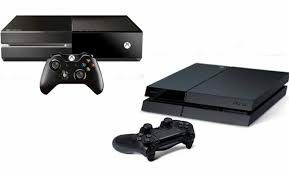 Prizes will be awarded for the best-played game, as well as best dressed, funniest photo and more. Get ready for a fun-filled day of golf with a community who loves the game as much as you do. Prizes include a Callaway Golf 300 Pro Laser Rangefinder, a Callaway X Series Stand Bag and a Cleveland Golf 588 Tour Action Wedge, as well as visors, sunglasses, and more! Register to enter the GolfLink Virtual Tournament. 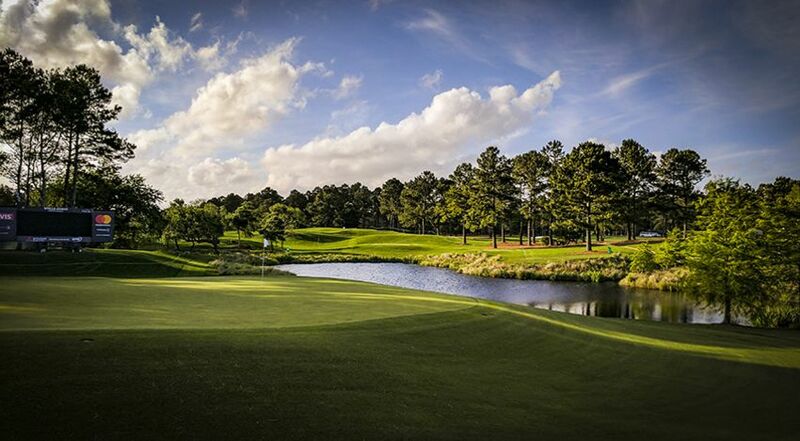 Book a tee time at your favorite course. Show up on June 10th ready to play your best game. Relax and wait for an email from GolfLink announcing the winners. HARTFORD, Conn., May 23, 2017 /PRNewswire/ — Swing by Swing Golf, Inc., the golf mobile app, media and entertainment company, announced today that it will launch The SwingCast Cup, the world’s first multi-platform e-golf league, officially sanctioned by HB Studios for its golf video game, The Golf Club. League participants will be able to compete on any of the game’s Xbox One, PlayStation 4 and PC platforms for over $20,000 in prizes. The 2017 season will commence on Tuesday, May 30th with fourteen regular season tournaments ending with The SwingCast Championship in September. Each week’s tournament winner will win her choice of a $500 golf equipment shopping spree or a $300 Amazon gift card, with weekly prizes for holes-in-one as well. In addition, four of the tournaments will be majors, with major champions winning their choice of a $1,000 golf equipment shopping spree or a $600 Amazon gift card. During the week of Tuesday, September 5th, the top ten golfers from the regular season will compete in the SwingCast Cup Championship. The 2017 Champion will win her choice of a $5,000 golf equipment shopping spree or a $3,000 Amazon gift card. Participants will need to register first at http://www.swingcastcup.com to be eligible for league participation and prizes. League participants will be obligated to stream all gameplay live via Twitch or Beam, and the championship will be broadcasted on the SwingCast video gaming channel (http://www.twitch.tv/swingcast) with commentary from the channel’s on-air talent. SOURCE Swing by Swing Golf, Inc.
WILMINGTON, N.C. – No learning. Seinfeld fans remember that as one of only two guiding principles for the show’s creators. (No hugging was the other.) But on the ever-changing PGA TOUR in 2017, players are learning as fast as they can. That was a popular sentiment among the wide-eyed best players in the world as they prepared to play in the first Wells Fargo Championship held away from Quail Hollow Golf Club since the tournament’s inception in 2003. Eagle Point is hosting while Charlotte’s Quail Hollow — 220 miles to the west — preps for the PGA Championship in August. At least players and caddies are used to adapting on the fly, what with this being the Season of New on TOUR. It’s not just that we have a new No. 1 (Dustin Johnson), or that we’ve had to come up with new expert analysis (“Sergio Garcia will never win a major”) and with it a new Best Player Never to Win a Major (insert your favorite player here). It’s not just that we’ve had to come up with a new Best Player Never to Win on TOUR. (Congratulations, Kevin Chappell, now go to the back of the line.) More than all that, it’s new countries. New courses. New formats. Then again, maybe they’re not the real favorites. 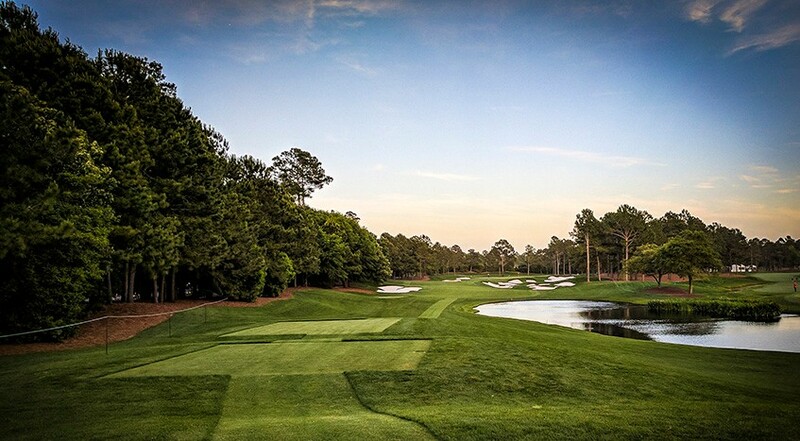 Eagle Point, a 2000 Tom Fazio design, is being compared to Augusta National. Will Masters winners like three-time champion Phil Mickelson have an advantage this week? “I feel like I’m in Augusta, North Carolina,” said Damon Green, who caddies for Zach Johnson, another Masters winner. Steven Bowditch was so struck by the Eagle Point/Augusta National similarities he went on Twitter with the mashup hashtag #augustapoint. More than anything, Eagle Point demands to be seen, so defending Wells Fargo champion James Hahn was trying to play as many practice holes as he could. He said seeing a course anew can be helpful on some courses, but this isn’t one of them. “I’ve played golf courses that I have seen for the first time and played well,” he said. “It’s target golf. You see the fairway, hit the fairway; you see the green, hit the green. And then it’s just trust your eyes on the green. Ignorance is bliss? See no evil, score no evil? Forget it. Not this week. Hahn went even further, calling Eagle Point one of the top five courses he’s seen on TOUR. Now comes the hard or at least time-consuming part of getting to know it. The early reviews are in, and in this, the 2017 Season of New, the Wells Fargo Championship and Eagle Point are the latest to do exactly that.